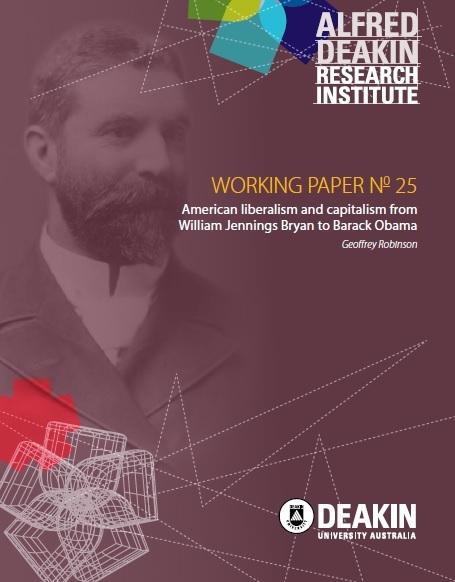 Unfortunately there is nothing in state politics to compare to the Australian Election Study. However some aggregate analysis of NSW is interesting and shows how cultural politics has come to rival economic cleavages. I have developed a simple model to predict the two-party preferred Labor vote by electorate. The dependent variables are the portion of the workforce without professional qualifications (I take this as a measure of the modern working class and it is of more predictive value than tradespersons and labourers) and the portion of non-Christians taken as representative of cultural divisions. Social data was taken from the 2006 census. This model predicted 42% of the final labor vote by electorate. It is chancy business extrapolating from aggregate findings to individual voters: the famed ‘ecological fallacy’. But perhaps we see here evidence of the slippage in Labor’s ethnic support apparent at the federal election. Note also that the 2007-2011 swing was highly uniform, a simple model that matched the 2007 and 2011 vote by electorate explained 93% of the 2011 vote. Labor didn’t lose its heartland it lost votes everywhere from Balmain to Bidwill to Ballina. 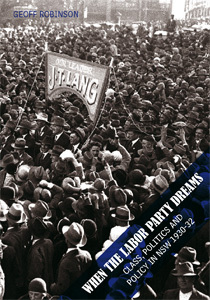 From the 1930s to now cultural politics has become much more significant in determining the Labor vote by electorate. Cabramatta, Auburn, Granville, Lakemba, Bankstown and Liverpool. Labor won all of these apart from Granville but it also won 15 extra seats. Certain areas were disproportionately loyal to Labor. It may seem remarkable the model predicted only 6 Labor seats but these were the only ones were the levels of non-Christians and non-professionals were sufficiently high. Reminded here of Richard Johnston’s work on the 1983 British election. Labour crashed to only 209 seats but Johnston found that if electoral behaviour by class had been uniform across the country Labour would have not won a single seat and if occupancy of council housing was included in the model it would have won only 23 seats. I thought that NSW Labor’s overperformance in some seats might reflect a high concentration of public sector professionals but adding in health and education employment as a variable had little impact. We can see a traditional Labor loyalty in the Hunter and Illawarra together with the green left vote in inner Sydney and the Blue Mountains. Worrying for Labor that even they lost several Hunter electorates they still over preformed in these, does this suggest that the new incumbent Liberals may be safer than they look? Some of these are ultra-safe conservative electorates (but what explains the collapse in Murray-Darling?) and Cabramatta reflects candidate issues (although Labor underperformed here in 2007 as well), but 3 have been won by Labor recently and Lismore, Bega and Ballina would have been won by Labor on some recent federal election results. The Labor-Green battle is bad news for both left parties on the north coast (this was also apparent from the 2007 residuals). Some other results are of note. Massive swings did not equate to Labor underperformance, Labor underperformed in Bathurst by 6.7 and Ryde by 8.9 but in Charlestown lost on huge swing it still overperformed by 7.6. A sign perhaps of Labor’s ethnic woes it that it over performed in Lakemba by only 1.3 and underperformed in Auburn by 5.8. Labor only underperformed in Granville by 3% but it was enough to cost the seat, Labor also notably underperformed here in 2007 so perhaps some local issue or population quirk.